To Promote Joy and Happiness through our products sustained through Pure Natural Harmony. 20,000 sq ft warehouse addition to factory completed. Aloe Laboratories current manufacturing facility construction is completed. Aloe Laboratories becomes part of the Harmony Green Corporation Japan family as the first US holding. 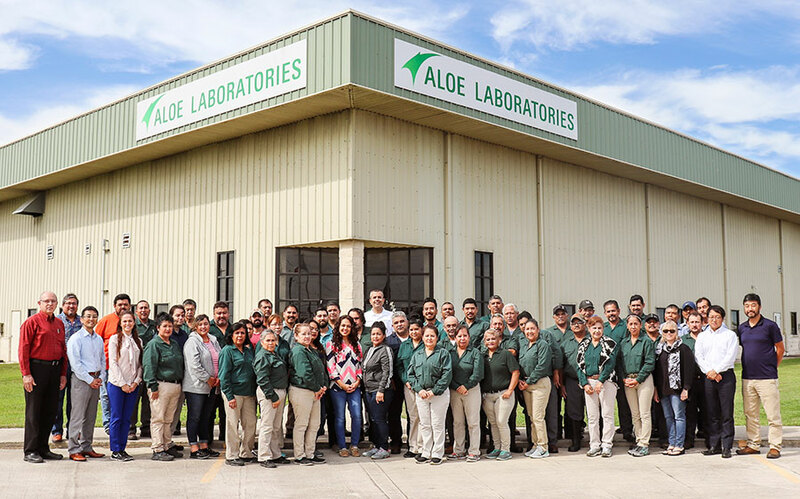 Aloe Laboratories becomes part of Pharmaceutical Labs out of Corpus Christi. Aloe Labs holds a variety of certifications attesting to a variety of standards we have to meet. Aloe Labs offers a range of specific characteristic choices to meet all a customer’s needs. Aloe Labs endeavors to provide its customers with the most value for their dollar. Aloe Labs will never resort to utilizing hidden adulteration or lower specification standards to cheat their customers. Aloe Labs produces a variety of aloe vera juices, nopal juices as well as concentrates of both with varying characteristics as desired by the customer. We also have the ability to manufacture personal care cosmetics. These products can be packaged in builk (up to 55 gallons) or bottles as needed. Aloe Labs also maintains six freeze dryers for powder production. Aloe Laboratories, Inc. is vertically integrated which means we control the source of the aloe vera as well as the production up to shipping to customer.The proximity of our aloe vera farm greatly reduces the time between when the aloe is harvested to when it is processed which makes for a higher quality product since the aloe begins to degrade after it has been harvested. The more direct control we have over each part of the process, the more consistent our final product can be.